Just prior to the close of the business day Monday, the Milwaukee Brewers announced six players as no longer being a part of its 40-man roster by way of outright assignment to Triple-A Colorado Springs. 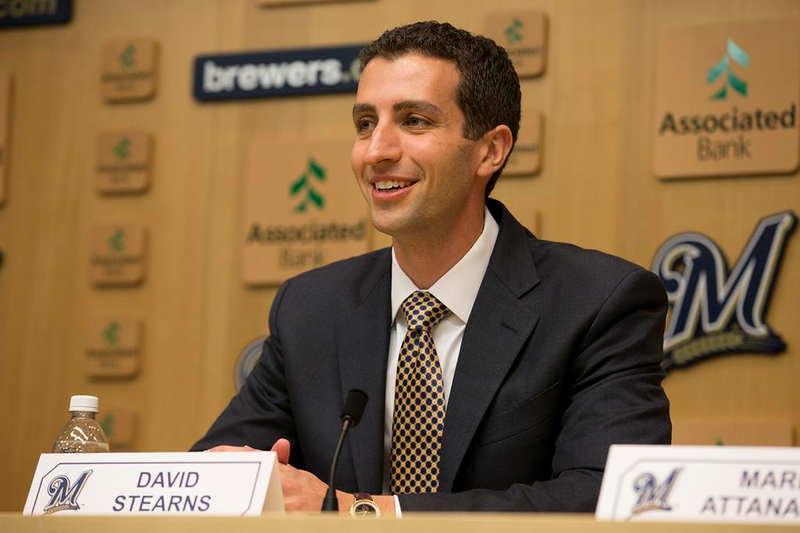 New general manager David Stearns has been discussing his ongoing evaluation of the organization’s talent pool. Now almost a month into his official tenure, the first wave of changes are underway in earnest. Five of the players could have remained under team control for 2016. Four of those five appeared in the big leagues in Brewers uniforms this season along with the sixth player who won’t be back with the club in any capacity. Lohse’s declaration should come as no surprise given how his tenure in Milwaukee ended this year. All five of the outrighted players now also have the right to declare minor league free agency, though they could sign minor league contracts for next year should they choose to do so. Despite a new man in charge and disappointing results following Tommy John surgery and rehab, you would think the Brewers would prefer retaining Johnny Hellweg on a minor league contract. They have, after all, put quite a bit of time and money into him after he was acquired as the second piece in the Zack Greinke-to-Los Angeles deal. Hellweg was also the Brewers MiLB Pitcher of the Year once upon a time. Jimenez’s outright is probably the only somewhat unexpected move as he performed acceptably for the majority of his time in Milwaukee. That said, he’s certainly a veteran player who doesn’t have a ton of business on a rebuilding roster at the end of the day. Centeno was passed over for a September call-up after appearing in 10 games early in the year. While it’s not a bad thing to have a third catcher on the 40-man roster, that spot is much more valuable this off-seaosn for Rule 5 Draft protection than for a guy who is inconsequential while there are no games being played. After being sold a bill of goods never fulfilled, it wouldn’t surprise me to see Matt Clark look for his next opportunity elsewhere. He’s flashed a solid set of tools and I believe he could help a team at the MLB level. That said, at 29 years of age next season, he’ll be outside of the range wherein the Brewers would best benefit from his skills before they deteriorate. As for Logan Schafer, he’s always been a great guy and he still plays top flight defense (when he’s sharp) but given where he’s at in his career against where the Brewers are in their rebuild, this one just felt kind of inevitable. Schafer is a solid 5th outfielder, in my opinion, but outfield just so happens to be one of the deepest positions in the organization right now both in terms of players currently on the 40-man roster and those hopefully on their way through the minor (Brett Phillips, Tyrone Taylor, Trent Clark). The Brewers have plenty more decisions to make as the weeks and months pass following the completion of the World Series. For now, Stearns has decided he needs the room on his 40-man roster. After all, two of the spots would appear to be spoken for already as RHPs Jimmy Nelson and Michael Blazek will likely be reinstated from the 60-day Disabled List soon enough and will, as a result, fill two of the current openings. Nelson and Blazek were reinstated from the 60-day DL on Monday as assumed. That officially puts the 40-man roster at 36 players with four open spots. Ron Burgundy may never have heard Bob Dylan’s “The Times They Are A-Changin,’” but David Stearns obviously has, and he’s willing to make the moves he deems necessary to regain Milwaukee’s footing in the ultra-competitive National League Central division. Up next for Stearns? It could be a decision on whether to pick up the $8 million club option on first baseman Adam Lind. That decision must come by the close of business Wednesday. After what was ultimately a five day hiatus from “Brewers By the (Jersey) Numbers” as I decided to skip a pair of non-roster invitees (#45 Brent Leach & #41 Pete Orr) around a two retired numbers and a coach, I was able to recharge my batteries. While today begins the disjointed “through the coaches” stretch, where we only have four scheduled pieces over the next 10 days (including today), it might even allow me to work ahead a little bit and be better prepared for the Thornburg to Lind corridor which has a new article every day for a full week. There’s nothing quite like a season-ending injury in your fourth game of the year to eradicate the good feelings and confidence gained by coming off of a “PCL Pitcher of the Year” performance. Despite poor results in his first taste of the big leagues in 2013, Johnny David Hellweg had a very solid year two seasons ago. He not only was named as the Brewers’ Minor League Organizational Pitcher of the Year, but he won the aforementioned and similarly titled honor from the Pacific Coast League as well. Last year around this time, I wrote about his future and how he might be contribute at the big league level again in 2014, but during the fourth start of his Triple-A season Hellweg felt a pop in the elbow of his throwing arm. He would leave the April 20th game fearing the worst. Those fears confirmed, an increasingly common plan was set in motion within days to get Hellweg into surgery and on the comeback trail. Dr. James Andrews performed Hellweg’s surgery on April 29, 2014 so as I type Hellweg is 302 days out of surgery. There exists good news which is that Hellweg is throwing off of a mound and rehab has gone according to plan. Hellweg remains a viable candidate to pitch competitively in 2015. Nothing is certain until it happens of course, but Hellweg is right on schedule if not a bit ahead. This is not without bad news though as Hellweg is still a little ways off from being physically ready to contribute to any pitching rotation. As Doug Melvin recently implied, Hellweg’s availability is something they’re counting on. They hope to have it shortly into the season, but the 6’9″ right-hander will still need to build up stamina and strength while avoiding any physical setbacks over these next several weeks. 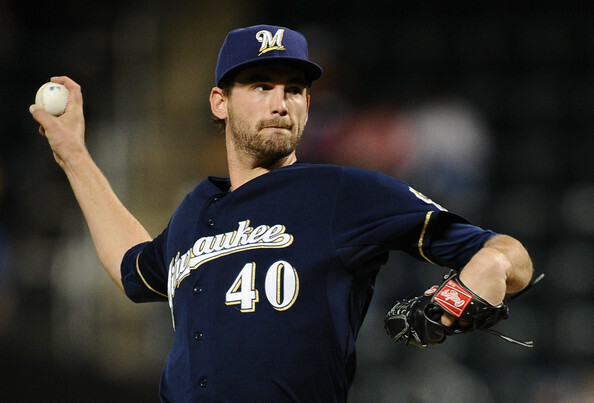 Depth at starting pitching is a known concern right now for the 2015 Milwaukee Brewers, but that’s why Hellweg’s rehab is important to get right. If something catastrophic happened where you’d need two or three extra starting pitchers in mid-April, the Brewers would be scrambling a bit. Don’t misunderstand though. There are enough bodies to have somebody throw, and it’s not like the new Class-AAA affiliate Colorado Springs is going with a three-man pitching rotation, but suffice it to say that when Hellweg is ready to return, there’ll be an opening for him. He waits for that full medical clearance at this point, with a target date no doubt already identified by he and the Brewers medical staff. And as he waits, the Brewers have decided to stretch out Tyler Thornburg for possible inclusion as a Triple-A starter if need be. Once Hellweg returns, if he’s able to build on his solid 2013 season, it’ll be a nice win for the Brewers who could be beginning to wonder about what they actually did get in return when trading away Zack Greinke during the 2012 season. Ariel Peña was recently removed off of the 40-man roster, Jean Segura struggled in the second half of 2013 even before off-the-field mental anguish torpedoed his 2014 season, and Hellweg now carries a question mark albeit a much smaller one than it was years ago. As I said, this surgery, it’s rehab, and the resultant shelf life of pitchers who have had it is becoming a well-read book. Still, 2015 shouldn’t be a lost season even if 2014 was. Still just 26 years old, Hellweg has plenty of time to take the next step (or three) in his development this year by ironing out his mechanics and becoming more consistent. It’s just that he’ll be a bit behind from the jump. We got a boatload of information in tweet form and in longer-form pieces from the Brewers beat writers fortunate enough to already be down at Spring Training covering the Brewers as camp opened up over the weekend. Here’s a compilation of what you might have missed if you weren’t paying attention. P&C weekend began with Brewers.com’s Adam McCalvy reminding us just how beautiful green baseball fields are. Then the information started coming. We learned that Tyler Thornburg, less than a week removed from being labeled as hopefully a “viable candidate” for the bullpen by Asst. GM Gord Ash, was expecting to open camp with no restrictions. From there, McCalvy talked to Jonathan Lucroy about the All-Star’s expected workload this spring. The Milwaukee Journal/Sentinel’s Todd Rosiak also spoke to Lucroy along with Kyle Lohse after the Friday morning announcement about the changes related to the game’s perceived “pace of play” issues. Tom Haudricourt posted a series of tweets with a quote from the talkative Lohse regarding the team’s collapse. Lohse had said at Brewers On Deck that he would talk to his teammates about it when they got to Maryvale and then move on. The official Twitter account of the Brewers Player Development staff got in on the news making by dropping this tweet on Friday. The Brewers have signed IF Donnie Murphy and C Beau Bishop to minor league contracts. Day Two of camp opened with some news about a potential #7 starter in the person of Michael Blazek. Michael Blazek will stretch out as a starter this spring. 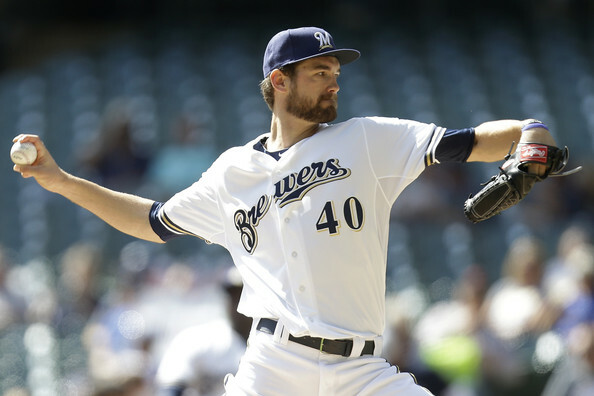 He’s another “sixth starter” candidate with Jungmann for #Brewers. Speaking of starting pitchers, Rosiak told us that Johnny Hellweg, just 9.5 months removed from Tommy John surgery, is throwing off a mound and should be in games before April. Rosiak also talked to Ash about Thornburg and Jim Henderson. Jim Henderson and Tyler Thornburg are both throwing well already. They’ll be protected early, Ash said, but all signs are encouraging. Haudricourt checked back in on Twitter with a reminder about the backup corner infielder spot. While Jonathan Broxton is the most likely candidate for the role, Brewers will hold off until probably mid-camp in naming their closer. Ron Roenicke spoke with reporters. Todd Rosiak tweeted that the hot corner could have more games started by not Aramis Ramirez than in years past. Roenicke acknowledged that giving Ramirez more days off this upcoming season might be way to go in order to get the most out of him. Adam McCalvy worked his beat hard on Saturday, and on Sunday we saw the results of some of his efforts. Included among them was this conversation with Dontrelle Willis, who is aiming to make the Brewers on a minor league deal. From outside the Brewers beat, FoxSports.com’s Ken Rosenthal checked in with this Sunday evening tidbit. Sources: #Brewers owner Mark Attanasio talking with K-Rod’s agent, Scott Boras, about signing the free-agent reliever. As several tweeps point out, #Brewers GM Melvin told @Todd_Rosiak, “Scott (Boras) keeps calling Mark (Attanasio).” Talks on K-Rod ongoing. My annual countdown to Opening Day will return for another season! There has been some decent 40-man roster turnover since Spring Training. I mark the passage of time from (roughly) the turn of the calendar until Brewers Opening Day by previewing players who wear a certain uniform number on the corresponding day. We’re 98 days away from Opening Day, so we won’t get underway on this thing quite yet, but once the countdown coincides with a jersey, you’ll see the first column go up. Opening Day is April 6, 2015. March 29th is eight days before April 6th. Ryan Braun wears number 8 on his jersey. I’ll write an article reviewing Ryan Braun’s 2014 and looking ahead to his 2015 and post it on March 29, 2015. Jonathan Broxton wears number 51. 51 days before April 6th is February 14th. I’ll post my Broxton column on February 14th. I do a column on every player who is on the Brewers 40-man roster along with most Spring Training non-roster invitees. I’ll update this space with a full schedule once the uniform numbers for the newest 40-man additions are announced. I’ll update it again as non-roster invitees are revealed. Thanks for reading and sticking with me this winter. BBtJN is a very popular series and I thank you for that. Stay tuned! Following their first round of call-ups yesterday, I just heard from a reliable source that the Brewers will call up at least three more players following today’s game now that Nashville’s season has concluded. Rogers, the Brewers’ reigning MiLB Player of the Year, has been playing mostly third base this season in the minor league system. He’s been on an absolute tear of late, finishing his minor-league season on an eight-game hitting streak that included a pair of home runs. For as hot as Rogers has been at the plate, nobody holds a candle to the lefty clubber Matt Clark. Acquired after Hunter Morris went down with a long-term injury this season (he’s been back and playing), Clark has demolished the Pacific Coast League. In 53 games with the Sounds, Clark is slashing .313/.371/.605 and has hit 16 home runs, all in just 195 at-bats. Of those 16 home runs, a cool 12 have come in the just-completed month of August. Gomez is primarily a shortstop, and could have been a minor league free agent following this season had the Brewers not added him to the 40-man roster. He was also announced as a participant in the upcoming edition of the Arizona Fall League on behalf of the Brewers so it was widely thought that he would have to be added to the 40-man roster at some point. Gomez played in two MLB games back in 2011 as a Colorado Rockies player, but hasn’t been back since. As for Rogers and Clark, their first games in a Brewers uniform will be their first games at the highest level of professional baseball. Congratulations to all three players on strong seasons. They’ve earned these promotions. Gomez and Clark will require 40-man roster moves. The Brewers could move *UPDATE* Johnny Hellweg (not Tyler Thornburg who is already there) to the 60-day DL easily enough. The other move could be simple, or a bit more interesting depending on how the Brewers choose to go. Opening Day is here for the minor leagues! What follows are the announced rosters for each of the full-season minor-league affiliates for the Milwaukee Brewers, broken down by position group. Today is Thursday, February 20th and we’re 39 days away from Opening Day. But wait, you say, why does this article say 40? Well, the fact is that I ran out of time to get this posted yesterday. Some things in my personal life took priority and that’s that. I had a whole thing written up to open the column too about the synergy between having another balmy day here in the southeastern Wisconsin, again eclipsing 40 degrees farenheit and how it was convenient as we were 40 days out from Opening Day. But even though the timing no longer words that smoothly, we’re here to think much warmer thoughts of spring training, Opening Day, summer nights at the ballpark, tailgating, and all the rest anyway. John David Hellweg, all 6’9″ of him, was among the 73 players to make their Major League debut in 2013 for the Milwaukee Brewers. Okay, so it wasn’t that many, but it sure feels like it sometimes. Anyway, for all of the successful debuts, Hellweg was unable to experience much of the same for himself. Coming off of a strong 2012 organizational debut (in Huntsville) and a start to 2013 at Class-AAA Nashville which would ultimately see him named the Pacific Coast League’s Pitcher of the Year, Hellweg posted some pretty rough numbers in the big leagues. The problems came from his control, like I mentioned a year ago was one of his biggest hurdles to overcome. His walk rates at both levels last year were poor. And despite the changes in his approach to maximize batter contact and seek out groundballs, Hellweg was bitten by a multitude of extra baserunners (Not literally; that would have made more headlines) which were only on base through his own fault. Still, Hellweg shows tremendous potential as a 25-year-old. He’s a lot of arms and legs and has had trouble repeating his delivery at times which certainly doesn’t help his command. He’s young enough to figure it out though and still have a very solid MLB career. To take it to the extreme, before Hellweg turned his focus to generating ground balls, he brought some serious velocity on his fastball. That, coupled with his height and frame, led to comparisons to future Hall of Fame member Randy Johnson (though Hellweg is right-handed). Johnson was a guy who didn’t debut in the big leagues until he was 25 years old and didn’t really “figure it out” until his third big league season. I’m not saying that Hellweg will be Johnson. What I’m attempting to illustrate is that there’s enough potential there that if he is able to figure himself out, he’ll be a quality Major Leaguer. 2014 will see Hellweg begin back in Nashville as he works to rein in his inconsistencies. I would expect him to pitch second in Nashville’s rotation behind Tyler Thornburg, if I had to make a prediction. The sky could be the limit for Hellweg and, though I’m sure he’s heard most every height-based analogy known to baseball, at least he’s already got a taste of that clearer atmosphere. Whether he can correct things early enough in 2014 will speak to where he finishes the year and how much success he’ll have. After all, 2013 saw him win the Brewers organizational MiLB Pitcher of the Year award as well. He’s one to keep an eye on this spring, but once the lights turn on in April in Tennessee, the biggest season in Hellweg’s career will begin.